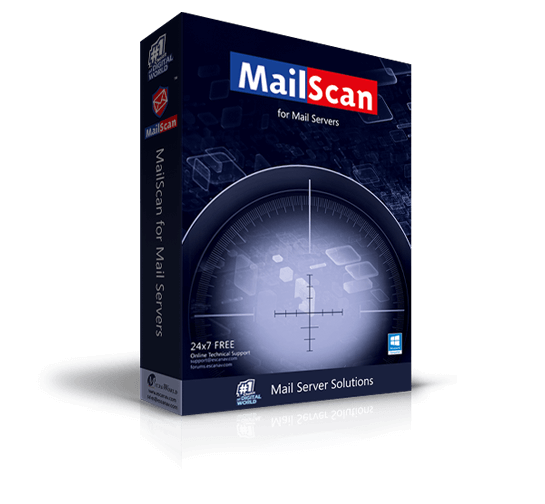 MailScan 6.x for Lotus Notes is a specially designed solution that acts as a Content Security and Anti-Virus Software between your Corporate Lotus Notes Mail Server and the Internet. It scans, analyzes and cleans incoming and outgoing e-mails on a real-time basis, before they are delivered to the clients or the servers on your network. This version, allows you to scan internal mails (local user to local user) and external mails (local user to Internet, Internet to local user). All MailScan processes are multi-threaded. This ensures that all e-mails are parallely processed. All types of attachments are handled by MailScan, including MIME and UUEncoded. Other types that are supported include RFC822 attachments, embedded e-mail, Multipart-Mixed and Multipart-Digest types. No port settings or changes need to be done inside Lotus Notes. Dedicated gateway machine not needed for using MailScan. MailScan works along with Lotus Notes on the same machine. Unlike other products, you will NOT lose any of the SMTP functionality provided by Lotus Notes, when using MailScan. Manual and scheduled scanning can be done for Lotus Notes NSF files.